It seems counting is all the rage on the Internet these days - particularly when it involves nice, even numbers. First it was Facebook that made it to 200 million users (and probably has way more than that by now). Then there was the CNN/Ashton Kutcher race to be the first Twitter user with 1 million followers. Now Apple is upping the ante with its quest for 1 billion downloads of applications for the iPhone. Check out Apple.com's rolling counter. 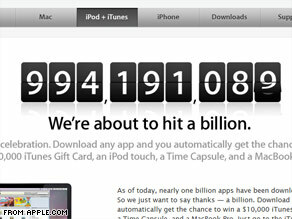 It looks like iPhone apps may hit the 1 billion mark by Thursday morning. What's more interesting, however, is that each event gives observers a chance to weigh in on the state of the Internet, and what this tells us about our culture. There's plenty of talk about the most popular iPhone apps. According to ReadWriteWeb, the majority are used for entertainment. News is the next-hottest category. Apple says the Facebook app is the most popular of the free applications, and Crash Bandicoot tops the paid list (at about $6). TechCruch writes that Apple seems to be estimating its billionth app download off of your computer's clock. At one point, Apple's counter was set to switch to 1 billion at 3:24 a.m. ET, the site says. Now the clock has been set back a bit, according to TechCrunch. For those of you new to the app world, here's a guide. In the comments sections, feel free to tell CNN what apps you find interesting, and how you use them. 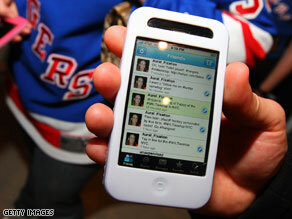 Has the iPhone changed the way you live and interact with other people? What about other phones? Are the apps as good? Have you seen a "Facebook ghost?" There have been several reports of privacy scams on Facebook, and "Facebook ghosts" have surfaced as a new iteration of the trend. Earlier this month, Yahoo! Sports created a ton of buzz when it reported one NFL team allegedly uses fake Facebook profiles to tempt recruits into unknowingly handing over their personal information. One popular Facebook "ghost" was a blond female temptress, the site reports. The team allegedly would use these fake profiles to get friend-level access to recruits' information on the site. The thinking there is that if a team official spots a player in Facebook photos smoking dope or partying hard, the team might avoid a bad draft pick and a potential public relations problem. The fake profiles are called "ghosts" because they disappear soon after they surface. I wonder if this technique exists in other spheres of recruiting? At law firms? At banks? In other sports? There's no hard evidence the NFL ghost-profile incident is part of a trend, said Justin Smith, editor of the blog Inside Facebook, which tracks the social networking site. More often, people leak information from their Facebook pages accidentally by posting messages their bosses or colleagues can see. It would be difficult for Facebook to prevent scams similar to the one allegedly used by NFL teams without requiring users to input personal information when setting up an account, Smith said. That's something that's unlikely to happen, he said, because social network users would move elsewhere. 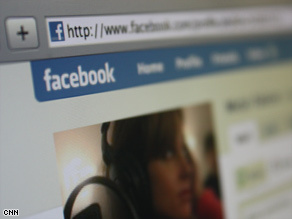 Do you know of examples of Facebook "ghost" profiles appearing in an effort to access your private information? Is this a concern, and if so, what should be done? Your thoughts could turn into a future CNN.com story. Wednesday tech trends: is that my face? FACES: A company called Polar Rose offers a relatively new service that scans photos and determines who's in them - using facial-recognition technology. As CNET reports, the service currently exists as an add-on for the photo-sharing site Flickr. It could have future applications for Facebook (which means we'll all just have to wake up earlier to untag ourselves from embarrassing photos). PROFILE: Google offers a new service that lets you set up a Google profile, which, a Wired blogger writes, soon could be the first search item to pop up with your name is searched on the site. Beware, the blog says, because this gives Google unprecedented power over your online persona. DATING: Sick of the dating scene? SkyeCandy is a new speed-dating service that lets would-be love birds hold 5-minute video chats online through Skype. Check out this slightly creepy intro video on SkyeCandy's homepage. I knew then that the book's migration to the digital realm would not be a simple matter of trading ink for pixels, but would likely change the way we read, write and sell books in profound ways. 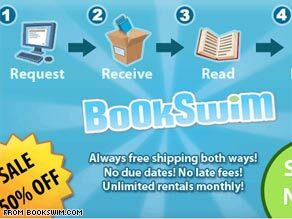 It will make it easier for us to buy books, but at the same time make it easier to stop reading them. What's on your mind today? Found any interesting sites or new online services? Share your thought in the comments section below. SEARCH: Cooliris has a cool tool out that lets you scan through photos and search results on a massive, 3-D wall of images. This spawned a Fortune magazine story about the future of search engines: will they always be text-based? Perhaps not. BLOGS: There are several stories out about new government data that says there are now more paid bloggers in the country than there are paid lawyers. Not that they make the same kind of cash, although the Wall Street Journal says a blogger with 100,000 unique visitors per month can make $75,000 per year. MAPS: IRLConnect is trying to make a name for itself with map-based social media. Using the site, you can pull in your Facebook and Twitter accounts to get a visual representation of what your posse is up to. 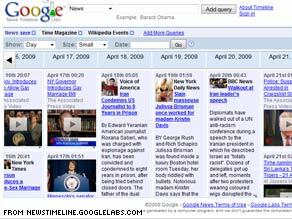 GOOGLE: Finally, in case you haven't seen it, Google's News Timeline is worth a look. You can pull in RSS feeds to make a weekly news timeline of your own. 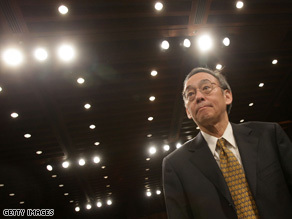 A turning point for online piracy? There was plenty of online chatter this weekend about file sharing and Internet piracy. 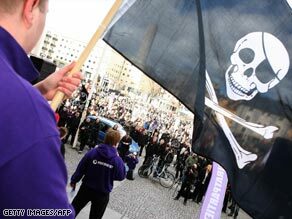 This follows Friday's news that four people who ran a popular file-sharing site called Pirate Bay were found guilty of violating copyright law in Sweden. By searching for pirated music or video, Google users can easily scan a range of lesser-known pirate sites to dig up illicit content. Those looking for the upcoming film X-Men Origins: Wolverine, for instance, can search for "wolverine torrent." The first result is a link to file-sharing site isoHunt, with a torrent tracker file that allows the user to download the full film. In fact, searches for "wolverine torrent" on Google have more than quadrupled since the movie file was first leaked to peer-to-peer networks on April 5, according to Google Trends. DownloadSquad responded with a counterpoint to Forbes' story. In the US, Napster was shut down even though it did not host files directly. When services like Grokster sprang up in Napster's wake and tried to make their services more decentralized to avoid even the appearance of control, courts still didn't accept the argument that they had clean hands. Copyright owners around the globe have gone on the attack. They're backing antipiracy legislation in France and Sweden. They're lobbying Internet service providers in the United States to crack down on customers who download files illegally. They're pressuring hardware and software companies to prevent their products from being used as "pirate toolboxes." They're threatening legal action against Google and other sites that aggregate news without permission. "Anyone who does something good, particularly if you get really lucky and do a great artistic thing and have a mega hit, I think you should get rewarded for that." Do you download pirated media? What should governments do about this issue? If you're an artist, what do you think? Feel free to weigh in with comments to this post. Robot servants, and the end of the Internet? ROBOTS: BBC News reports that two (likely unrelated) trends are driving robotics these days: older people and violent conflict. One expert in the story sees it this way: "Even just having robots do lightweight transport of objects from one room to another, whether it's grandma's knitting or a cup of coffee, could be tremendously valuable." INTERNET: Is there an end to the Internet? Maybe, if your cable company says so. Nielsen Online says Internet service providers and cable companies are putting caps on how much bandwidth their customers can use. That comes as Internet users are downloading more video, particularly from Hulu, the site says. CLOUD COMPUTING: There's been a bunch of news about cloud computing lately, and a lot of it may be hype, ars technica writes today. The notoriously vague concept generally refers to the process of hosting computer programs online. Many companies are interested, but that may not make financial sense, the site says. FACEBOOK: Finally, what blog would be complete these days without a Facebook reference. A CNET writer wonders today whether or not the uber-popular social networking site should charge users $1 per month to avoid financial stress. What would you pay? Facebook may have started in the U.S., but its fastest growth is now overseas in places like Europe, where it's spreading like crazy. According to new data from comScore, Inc., which measures Internet use, Facebook now accounts for more than 4 percent of all minutes spent online in Europe - up from 1.1 percent a year ago. 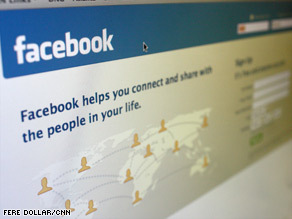 As of February the social-networking site had almost 100 million users in Europe - a 314-percent increase over February 2008. In Italy alone, Facebook grew by more than 2,700 percent over the past year, suggesting that some Italians may be giving up face-to-face socializing over espressos for networking online instead. In other news: Back on the other side of the pond, Americans conducted 14.3 billion online searches in March, a 9-percent gain over February, according to new data released Wednesday by comScore. As usual, Google sites led the way 63.7 percent of the searches conducted in the U.S., followed by Yahoo! sites (20.5 percent), Microsoft sites (8.3 percent), Ask Network (3.8 percent) and AOL (3.7 percent). Google search sites gained almost half a percentage point since February, while all the others dipped slightly except Microsoft, which gained 0.1 percent. 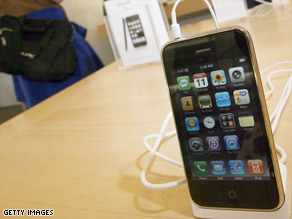 Are you thinking about buying an iPhone but waiting until the device is available on wireless carriers other than AT&T? You may have to wait a while. Apple and AT&T met last August and agreed to extend AT&T's contract as exclusive carrier of the iPhone through the end of 2009 - at which time Apple would presumably be allowed to start selling the popular smartphone on other carriers. Now, AT&T wants to extend that deal another two years, according to a report Tuesday evening in The Wall Street Journal. An Apple spokeswoman declined to comment, saying only, "We have a great relationship with AT&T." Some iPhone users have grumbled about spotty AT&T service - notably during last month's South by Southwest Interactive conference in Austin, Texas, where thousands of iPhone-carrying attendees overloaded AT&T's network. It'll be interesting to see if Apple agrees to AT&T's request or seeks to broaden the iPhone's popularity by opening the device to Verizon, Sprint and other carriers.